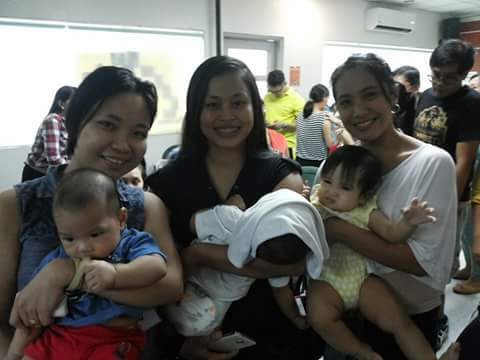 I have not considered breastfeeding until I was invited by a couple of friends to join Breastfeeding Pinays. I was a first time mum, a recently resigned executive and was formula-fed as a child, so breastfeeding was not really an option that I had in mind. I wanted to go back to work after the pregnancy, but I was curious. I read through the group’s posts, comments, FAQs and info graphics. I did my own research and shared it to my husband, and then we decided that work would just have to wait for next time because I will exclusively breastfeed our son. 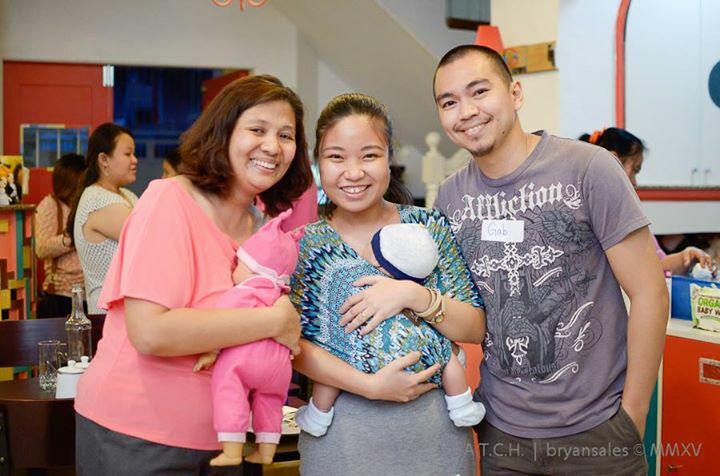 My husband and I attended L.A.T.C.H.’s breastfeeding class. We created a birth plan, discussed it with my OB, and made sure that we will get a breastfeeding advocate pediatrician. My mum and my in-laws kept pushing me to mix feed with formula. They said it will be exhausting and painful and I will not be able to get anything done, but we remained firm with our decision and never bought any bottles or formula milk for that “just-in-case-I-don’t-have-milk moment” because we read that women (even adoptive mums and grandmas, for that matter) has milk, and I needed to trust myself with that. After almost twelve hours of induced labor, I gave birth via emergency C-Section. Sadly, we were not able to perform the Unang Yakap despite knowing that we could. We were in so much panic and I was not exactly myself with the anesthesia taking effect in my system. During the first two weeks, my breasts would hurt so badly that I just wanted to take a break, and my husband would tell me I could do it because it was for our baby, and I moved on. Other than those, I never really had a problem with breastfeeding. Khale gave me a hard time and never really listened to me when I told him to come out already when I was pregnant with him and overdue, but breastfeeding came so naturally for us. He is now a healthy, more than 8-kg six month old feeding from Nanay since July 7, 2015. Last November 14 and 15, I trained to become a peer counselor. I signed up before I was even able to gather funds for the training. Luckily, my husband’s grandmother who was extremely proud of what I do was generous enough to send me to the training along with my husband and our son. 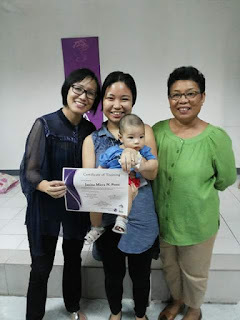 I had been counseling mums with theory even before Khale was born, but being able to attend the training combined with my experience gave me a sense of credibility. Apart from benefiting my family, I wanted sustainability for families around me. I wanted to bring the knowledge and experience that I have to other mums by conducting small seminars. 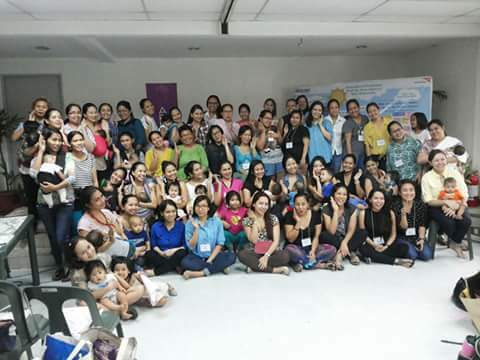 I wanted to educate people that breastfeeding is not only beneficial to the baby, but to the entire family and the community, as well. They always say that breastfeeding is a great equalizer, and it is so heartbreaking to see how formula milk has seeped through the minds of even the poorest of families who could have used the money for a healthier option or a different necessity. I talk about this advocacy all the time, and a friend of mine once told me that I should never be ashamed to share about something I feel strongly about. One of the things that keep me going are the kind words I have received from fellow mums. My mum and in-laws are now supportive of breastfeeding. One mum all the way from Canada told me that she had been following my posts and that I am one of her inspirations. A former colleague once told me I made breastfeeding sound so beautiful that she started looking forward to the day she would do so to her own. Friends are now referring me to their friends, and I answer every single one of them and if I can, I meet them. My most memorable is from a mum in Naga City, roughly ten hours or so away from where I live, whom I had been in touch since she was pregnant. She said, “Ano na lang gagawin ko kung wala ka?” (What will I do without you?) My heart is definitely full and these are what keep me going. In my family, every mother that I help in their journey is another healthy baby. My husband said, if he wins the lottery, he would send me to medical school, so I could be either an OB-Gyn or a pediatrician and be able to reach out to more. He calls my passion for breastfeeding as my “career” and I love every bit of time I spend counseling other mums and meeting them. I thank god that I have never experienced hurtful words from people I know. Some words stung me. They pass it on as jokes, but never extremely painful to the point that I would consider unfriending them. Strangers often commend me for what I do. I once met a grandmother who sat beside us in a mall. She looked at me intently while I was breastfeeding, and I thought I was getting the first most painful bashing in my life. But she, instead, asked me how old my son was and how long I had been breastfeeding him. She then went on into telling me her own wonderful story of how she breastfed all four of her children and how it saved her from breast cancer. We want that for our son, and for your children. We are raising our son in a way that he will one day encourage our future daughter-in-law to breastfeed, and my husband and I will be there to support them. He will grow up respecting women who will breastfeed during his time because he was raised by a woman who gave him her own. I want something this beautiful to continue nourishing our young ones from this generation to the next, and we need to start with ourselves. We need to start now. We need to be proud. I breastfeed my son because they say when you love someone, you give him the best. This is the best of me, and I am willing to share it to you. You are inspiring! Breastfeeding is always the best for babies and for the moms too! I remembered how i lost i few pounds after giving birth because of breastfeeding.. too bad i got very low milk supply after 4 months wala na talaga...keep it up! I also breastfeed my son, he is now 21 months old and still love breastmilk. Our first meeting was 2 days after I gave birth to him. C-section too. I wish I was able to hug him though before he was bathed. It is always a choice to nurse. And yes, it is best for babies. Always. As long as I still have my breastmilk, I won't stop breastfeeding my son unless he'll say NO. Congratulations on that milestone! Breastfeeding is always an achievement no matter how long or short. And yours is long! :) I'll breastfeed until my son self-weans too. Good job, mommy pehpot! :) you're legendary! How I wish I knew about this when I was still pregnant. 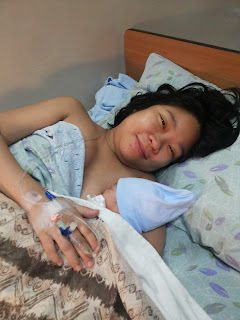 Im into breastfeeding also; a first time for this 4th time mama and the experience is just wonderful. enjoy your breastfeeding journey and hoping to hear more stories about it. Wow! It really is never too late to start. I read your post on 3 to-dos for a steady milk supply. Really helpful. I find that mums, whether first or nth-time, are benefiting from all these info. :) keep it up! Thanks for sharing! I'm definitely considering breastfeeding as it has a lot of benefits not only for my child's development but for myself as well. Let me know how I can help. :) I'm open to homebased breastfeeding classes, one-on-one or with a group. I couldn't do home visits yet because my 6-month old is a handful, so we organize at home. Kudos to you! Many new moms out there really need all the help and advice they can get. Thank you! :) There are actually a lot of us who are willing to help. Cheers! :) nagbibiro pa nga ako minsan kapag tinatanong ako hanggang kelan ako magpapadede na ok lang kahit hanggang magthesis anak ko. Lol. The support I get had always been my most powerful tool in breastfeeding. Keep up the good work and continue to inspire new moms!